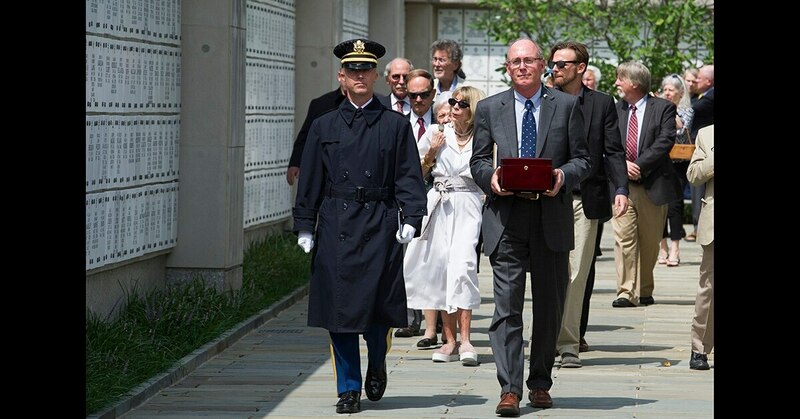 ARLINGTON, Va. — Friends of journalist Richard Pyle gathered Monday at Arlington National Cemetery to bid a final farewell to the veteran war correspondent and celebrate his storied Associated Press career, from Saigon and Tokyo to Washington and New York, nearly one year after his death. More than 40 friends joined his wife, Brenda Smiley Pyle, for the ceremony at the military burial ground, where his ashes were placed in a memorial wall. Pyle, who was a veteran of the U.S. Army, died at a hospital last September. He was 83. Pyle retired in 2009 after 49 years with the AP, a career in which he documented some of the most historic moments of the 20th century and beyond. U.S. Army Chaplain Matthew Whitehead told mourners that Pyle "has earned a place in these hallowed grounds." "He served his country honorably as a soldier and then he embarked on a distinguished career in journalism and covered many of our nation's conflicts as well as many other events of national interest. In life, he honored the flag. Today, in death, the flag will honor him," Whitehead said. A military honor guard presented Pyle's widow with a folded American flag before she placed her husband's ashes in the wall. Six soldiers fired three volleys of rifle shots. Pyle served two years in the U.S. Army before graduating from Wayne State University in Detroit. 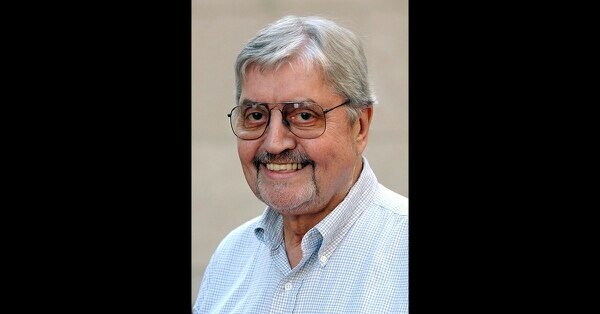 He joined the AP's Detroit bureau in 1960 after working for a suburban newspaper. In October 1962, he was covering President John F. Kennedy in Michigan when the president broke off his visit and flew back to Washington as the Cuban missile crisis unfolded. 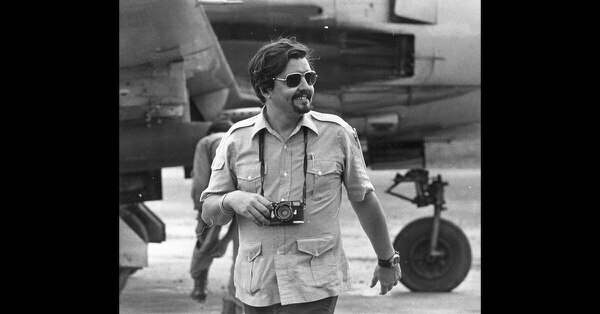 During the Vietnam War, Pyle served as chief of AP's Pulitzer Prize-winning Saigon bureau. He had volunteered to cover the conflict after stints on AP's international editing desks in New York and Washington. Four of Pyle's AP colleagues from Vietnam attended Monday's ceremony: Mike Putzel, Terry Wolkerstorfer, Edith Lederer and Lew Simons. In the 1970s, Pyle covered the post-Watergate presidential transition from Richard Nixon to Gerald Ford, wars in the Middle East and the Three Mile Island nuclear plant disaster. In the 1980s, Pyle served as AP’s Asia news editor in Tokyo and then as a roving Mideast correspondent. He later joined AP’s New York bureau, covering mob boss John Gotti’s 1992 trial and the 2001 terror attack on the World Trade Center.